We take the subway and leave the touristic part of town. 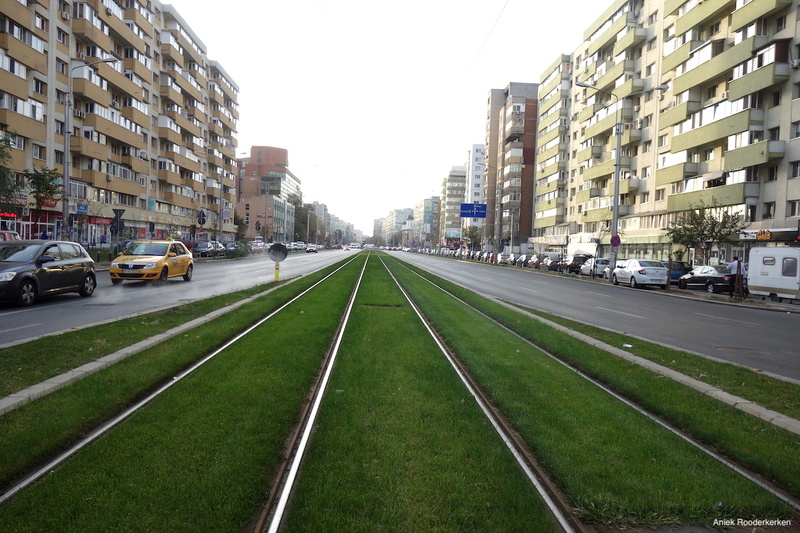 When we exit the subway station we’re in the middle of the Pantelimon neighbourhood in Bucharest. It used to be known as a quite problematic neighbourhood, but there’s another side to it. One that involves huge graffiti and street art. Do you ever think about how easy it is to visit only the touristy city center during a city trip? When you might learn more about a city when you see the absolute non-touristic sites of the city. That’s why I discovered the Pantelimon neighbourhood with a local. I immediately learn more about the recent history of the city. 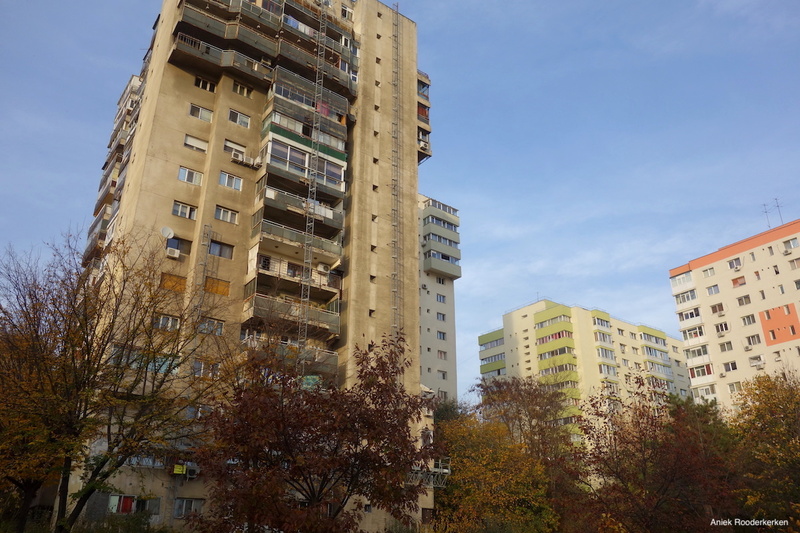 Most of the inhabitants of Bucharest live in neighbourhoods that were made for workers in the industrial area. Like Pantelimon, a neighbourhood consisting of living blocks created for the workers of the fabrics in the same area. 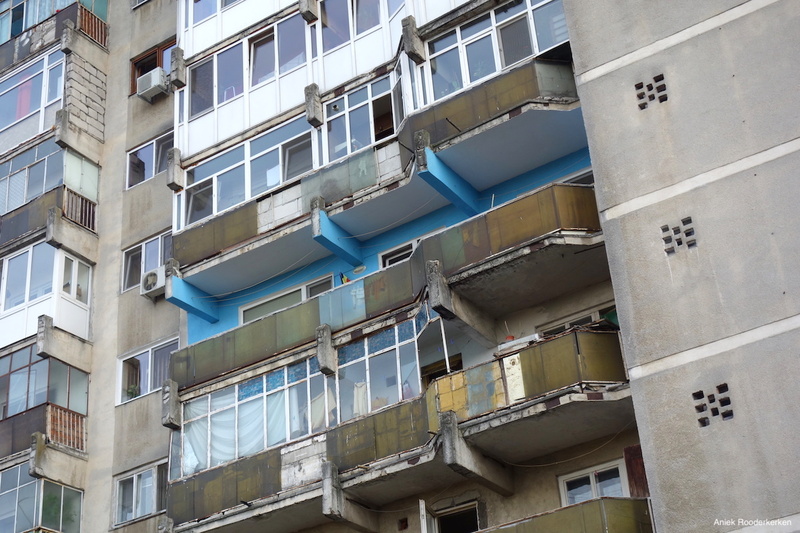 In the ‘70s many Romanians moved from the countryside to the cities, from the fields to the factories so to say. Pantelimon already had some small factories and the regime in the communist years decided to extend them. People were placed in new apartment buildings, grandiose blocks of flats, with the intention to work in the colossal factories. “If you ever heard of Pantelimon, it is because of Hip Hop.” Our guide explaines. “In the early ‘90s Hip Hop exploded here and B.U.G. Mafia placed Pantelimon on the map. They made songs about the dangerous life in Pantelimon, drugs and contemporary life.” The music told the story of the rough living conditions at the periphery of Romanian cities. 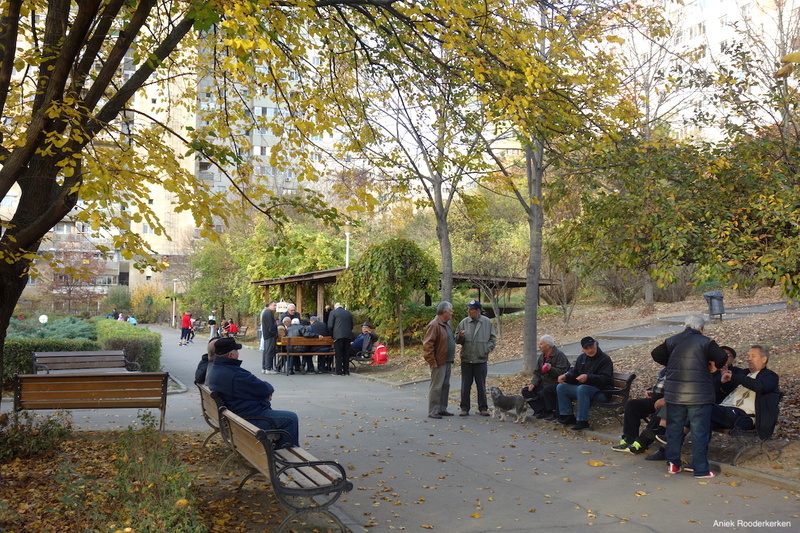 Imagine this was only few years after the Communist era, after years of propaganda and socialist life. 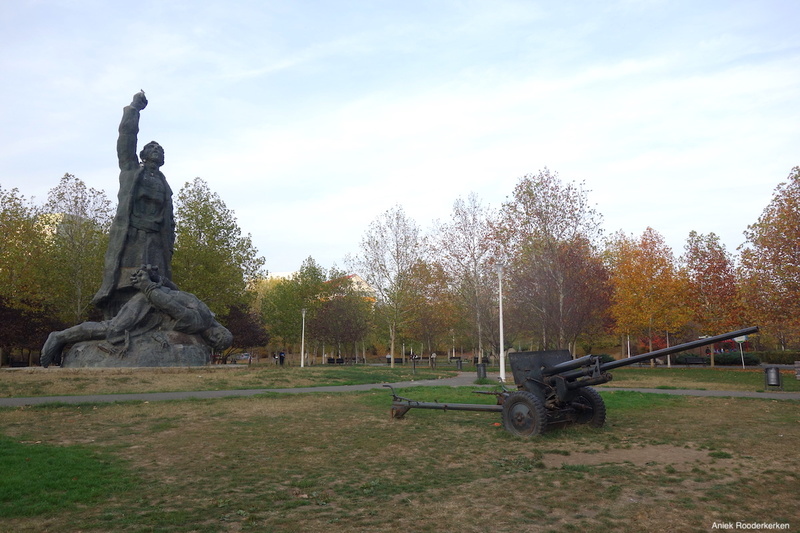 We go down a flight of stairs and enter Morarilor Park. A park like you would expect in any city, except when you look around, above the trees all you see is monotonously grey apartment blocks. At the time they were built, every building looked the same since everyone needed to be given an identical home. Even today, living conditions in this neighbourhood are far from being ideal. Nowadays, some balconies are closed using windows, maybe for enlarging the home. On the walls you see some different shades of colour. But still, they stay massive grey blocks with identical apartments. Giants, remains from the Communest era. These Giants of Pantelimon are now to be changed. We walk towards the Pantelimon water tower. 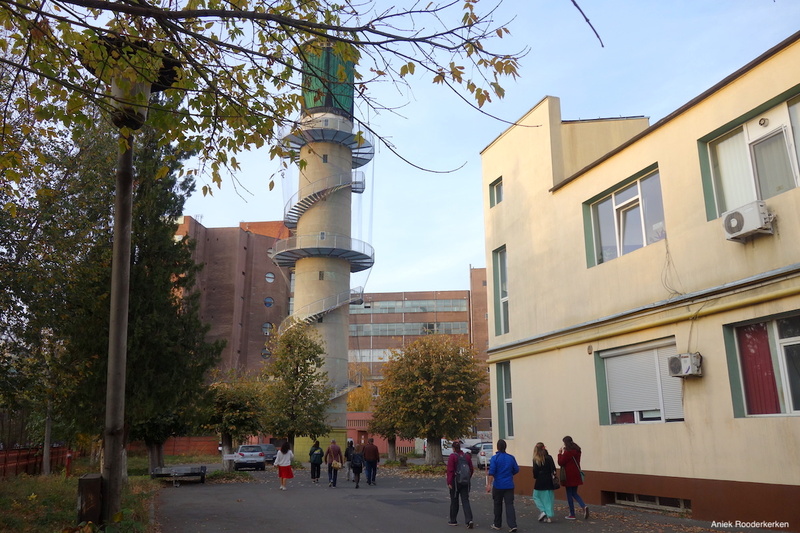 An old, 37-metre high water tower that was once part of Postăvăria Română, the Postavaria textile plant. A long spiraled staircase winds itself around the water tower and brings us to a viewing deck. Arriving at the deck a 30 meters-high view of the city unfolds. The biggest surprise is yet to come. 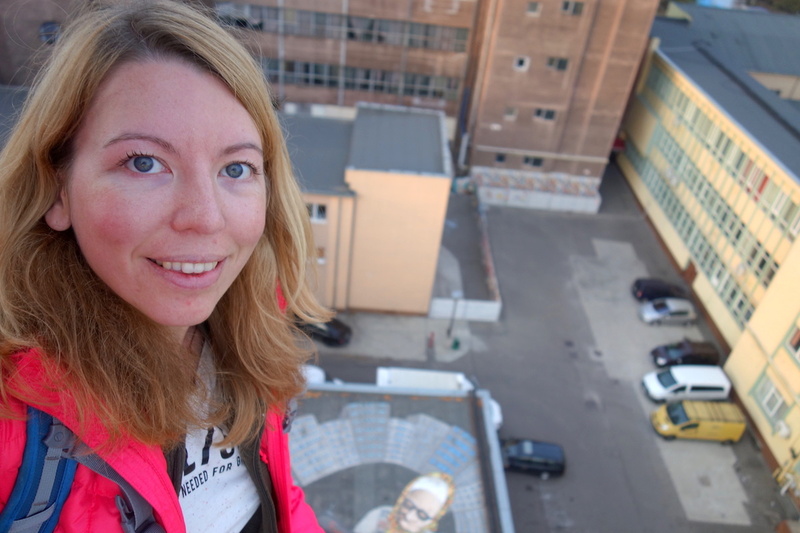 When we look down from the tower we see how artists have painted huge murals on the roofs of the former industrial halls around the former water tower. The artworks are inspired by real stories of the people of the neighbourhood. Most impressive might be the artwork of a former female textile worker at the Cotton Mill, sewing parts of the city together. It is an art project, by Make a Point, but one with a social side to it. Not only this contemporary artworks tells the stories of the people of Pantelimon, it also shows that every building has its own story. 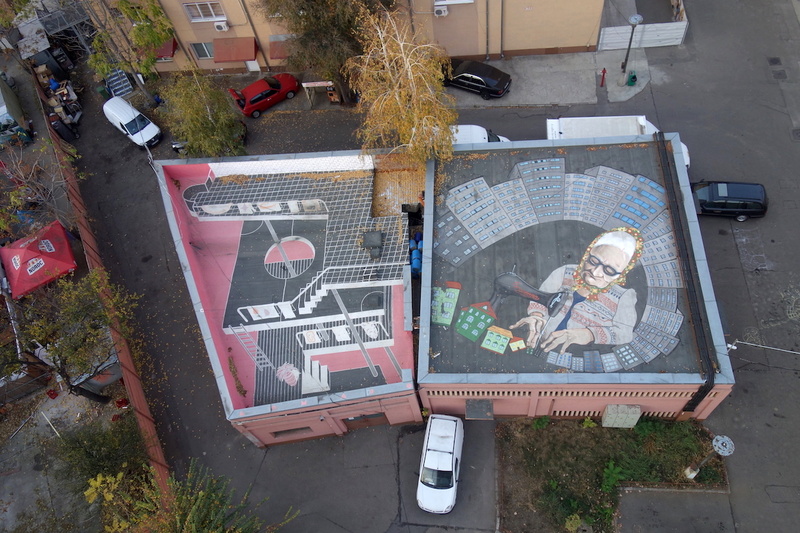 Therefore, the murals bring people like me to the Pantelimon neighbourhood, while at the same time they help local people identify with the neighbourhood. 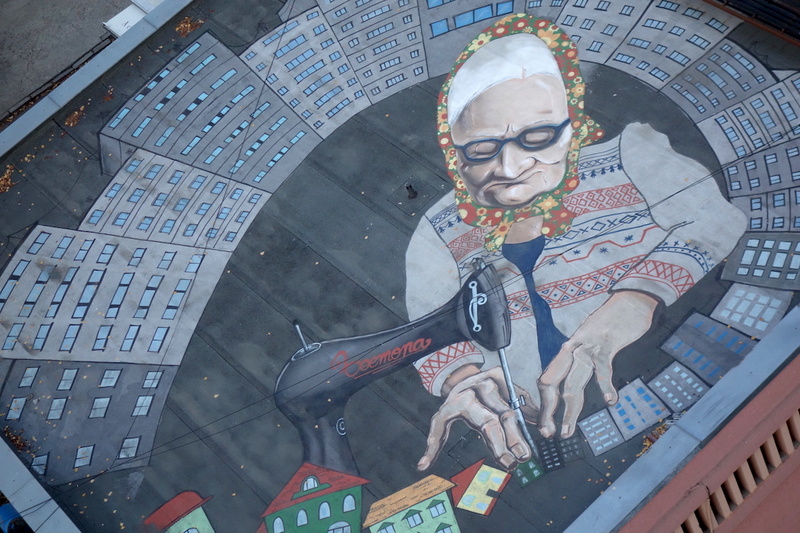 Artists interact with the people and incorporate their stories into street art on the roofs. Worth a visit! 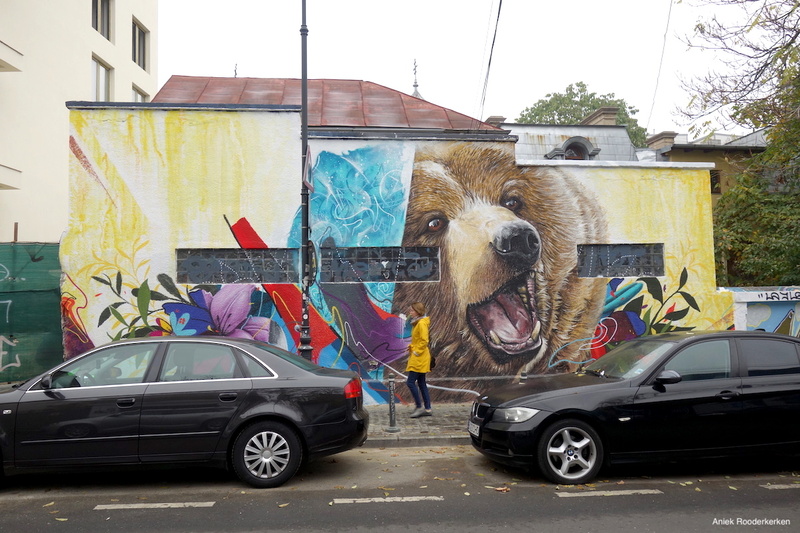 There are more locations in Bucharest to find street art. 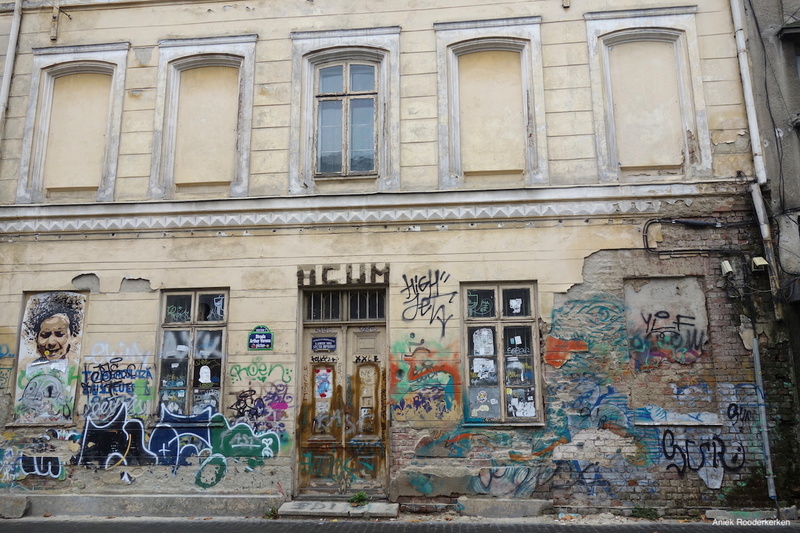 For instance in abandoned buildings in and around the city center, but you can spot murals all over the city. Especially around Strada Arthur Verona there is one large piece of wall whose graffiti works changes every year. In the nearby streets you can find lots of smaller and larger artworks. 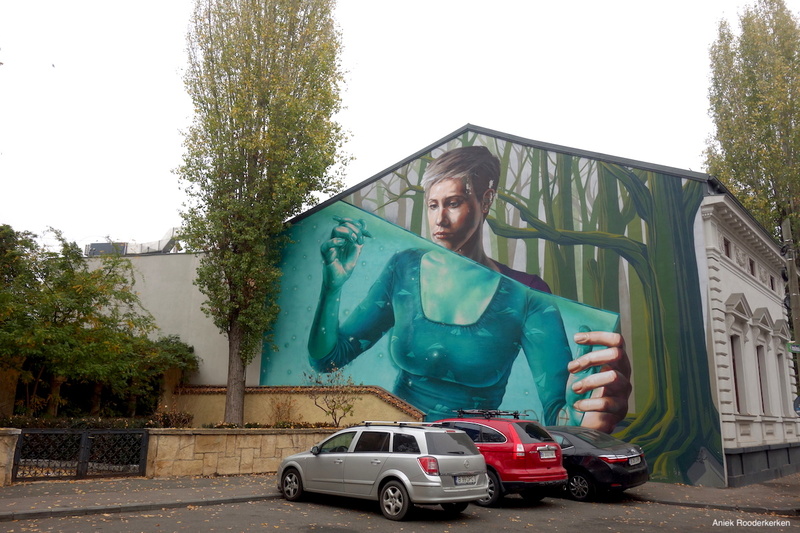 Close by, near Strada General Eremia Grigorescu, is a large work called Make a Point by Sweet Damage Crew. You can also see it in the video I made of Bucharest. 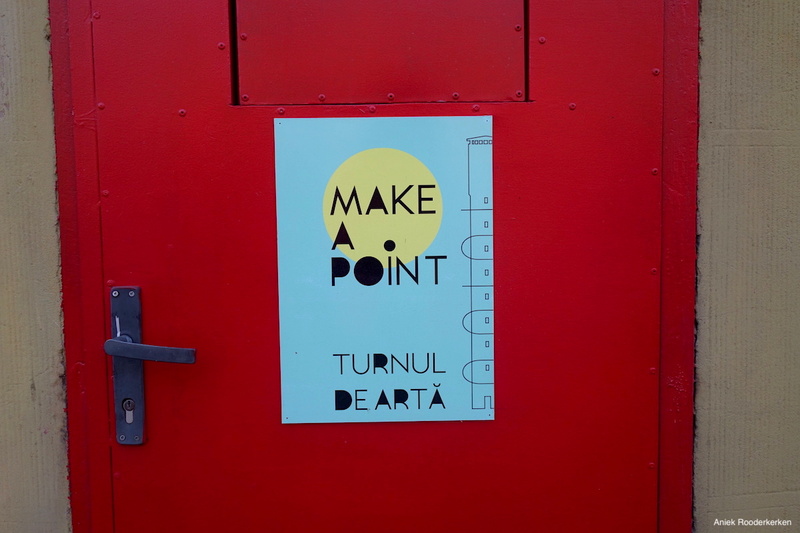 At the Strada General Eremia Grigorescu you will find an interesting work: Make a Point from Sweet Damage Crew. 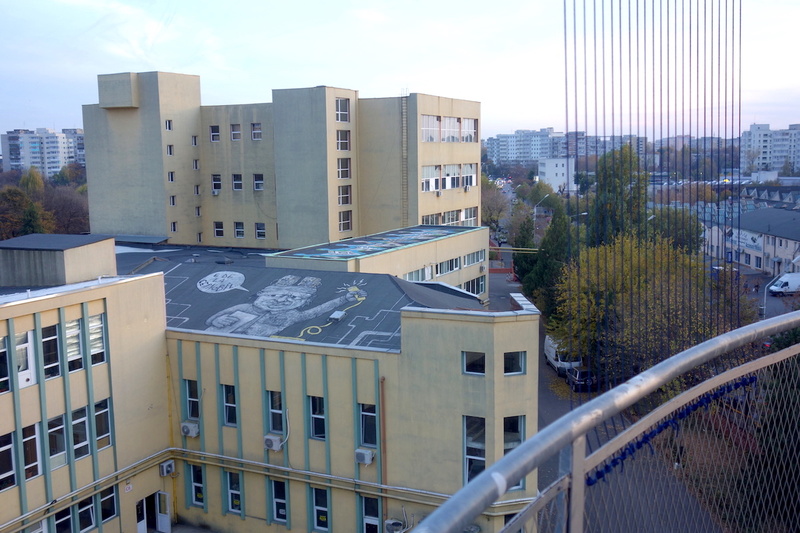 Street art in Bucharest at the Strada General Eremia Grigorescu. Pantelimon is an Bucharest neighbourhood with a specific identity. I made this tour with Open Doors Travel on invitation of Experience Bucharest 2018.